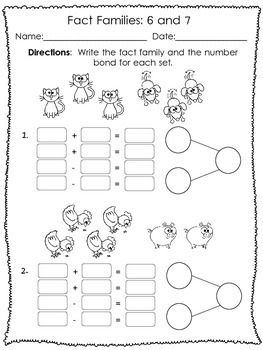 Support your math addition and subtraction instruction within 10 using these practice sheets! Pack of 12 practice sheets (with answer keys!) 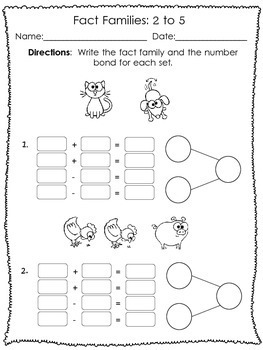 feature fact families within 10. 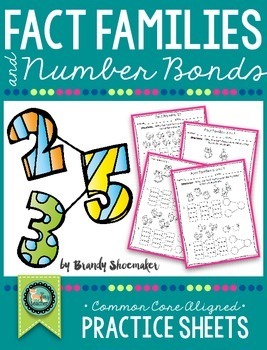 Students write a fact family and number bond to represent the picture. Pack includes practice sheets only, no instructional plans. 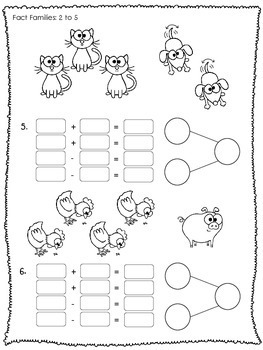 Simply print and use as part of your own lesson plans and instruction! Suggestions for use include extra practice, homework, seat work, centers, etc.